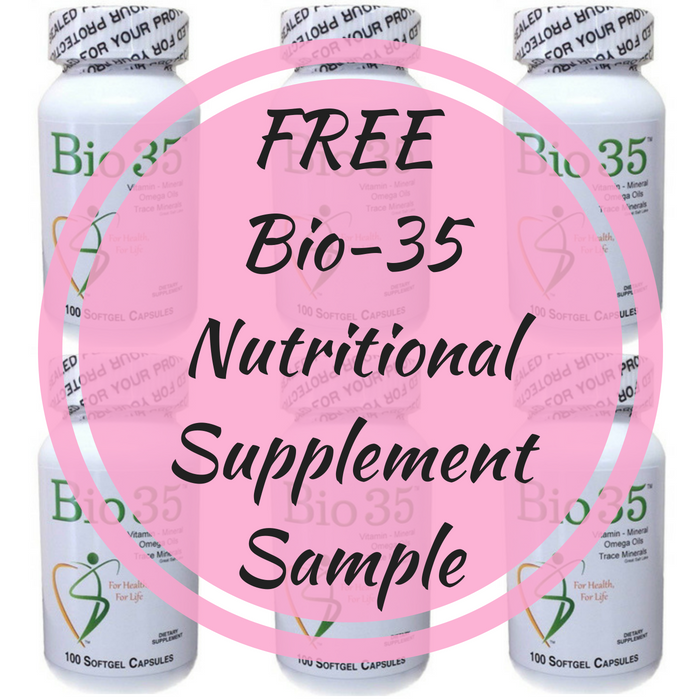 FREE Bio-35 Nutritional Supplement Sample! You are here: Home / FREEbies / FREE Bio-35 Nutritional Supplement Sample! For a limited time only! Hurry over here to request a FREE Bio-35 Nutritional Supplement Sample! All you need to do is go to their website and fill out the form. No shipping charges or credit card required. Please note that they’re giving 1 sample per household only. Nice!